Superstar Salman Khan and Katrina Kaif starrer sequel to 2012’s blockbuster Ek Tha Tiger, Tiger Zinda Hai is all set to roar loud at box office from 22 December 2018. 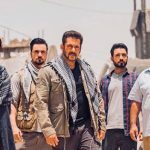 From the director of 2016’s Sultan Ali Abbas Zafar, this action thriller has recorded excellent advance booking across the country and positively expected to open on a higher note than it’s prequel. There is no doubt that Salman Khan is one of the biggest superstars in Indian cinema and his film releases like an event across the country. Although his last offering Tubelight got failed to impress audience due to off beat subject but that too was opened to a solid note and registered the massive opening business of 21.15 crores. Previous collaboration of Salman with director Ali, Sultan was the blockbuster of year 2016 and holds the record of actor’s second best opening so far with the business of 36.54 crores after Prem Ratan Dhan Payo (40.35 crores) which is at first position. Talking about the first part of franchise, then Ek Tha Tiger did the outstanding opening business of 32.93 crores at domestic box office. Apart from being the sequel to blockbuster Ek Tha Tiger, Tiger Zinda Hai has solid star power of Salman Khan, one of the most loved pair of Salman-Katrina and is backed by India’s one of the biggest film production banners Yash Raj Films. Also it has all the ingredients that an action entertainer requires to become blockbuster at box office. 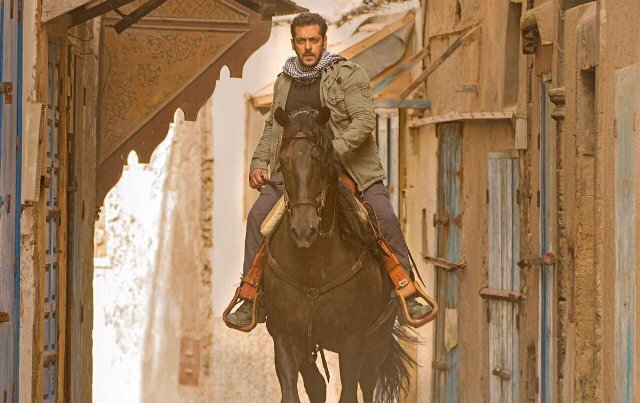 After considering all the facts and figures, Tiger Zinda Hai seems capable to emerge as the biggest opener of 2017 in Bollywood with the opening figures in range of 35-36 crores from more than 4000 screens in India. So far the record is on the name of Golmaal Again that was reported the opening of 30.14 crores. It won’t be surprising, if TZH opens more closer to Baahubali 2 (41 crores) because the wave is super solid.